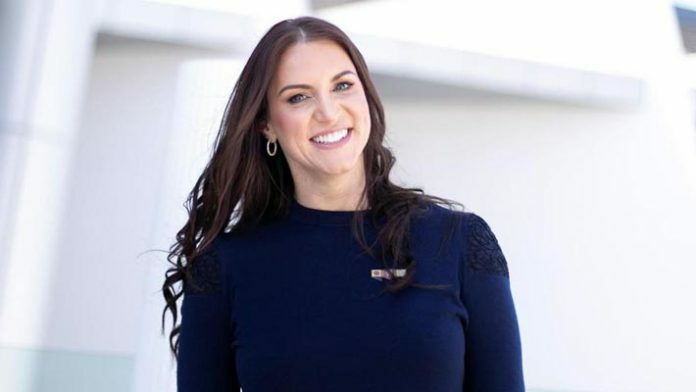 Stephanie McMahon has shared her feelings on the RAW Women's Championship match main eventing WrestleMania 35, saying it would "mean more to me than I could describe." Despite showing off the success of last October’s WWE Evolution pay-per-view (PPV), Stephanie McMahon was somewhat coy regarding a follow-up. The WWE’s Chief Brand Officer spoke with The National whilst in Abu Dhabi earlier this week. She was there for the beginning of the 2019 Special Olympic World Games. When asked whether the women’s division could main event at WrestleMania 35. The question directly referenced the major feud between Ronda Rousey, Charlotte Flair, and Becky Lynch over the RAW Women’s Championship. Stephanie admitted that it would “mean more to me than I could describe” if they were to get the opportunity. It’s worth noting that Vince McMahon is still allegedly undecided over what matchup will close the show this April. The two options at this point in time seem to be the Women’s Championship match and the potential WWE Championship match between Daniel Bryan and Kofi Kingston.